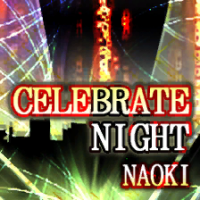 This page is for the ダンスダンスレボリューション フルフル♪パーティー song titled CELEBRATE NIGHT. For the original song of a similar title, please see CELEBRATE NITE. CELEBRATE NIGHT is a remake of CELEBRATE NITE, from Dancing Stage featuring TRUE KiSS DESTiNATiON. A MIDI version of CELEBRATE NIGHT appears in DanceDanceRevolution (i-αppli). Another new vocal version, but please think of this as the original version. I'd like to think of this as the original version of the song.